Come the end of October, Giant Robot’s Biennale 2 Exhibition is opening at the Japanese American National Museum.Â Here is the beginning of James Jeanâ€™s (interviewed) piece, entitled “Chhinnamasta.” Uh, yeah, don’t ask us what that is, ask wikipedia.Â In any event, looks like an interesting show with some other great artists such as Jeff Soto (interviewed), David Choe, Souther Salazar, kozyndan, and Deth P. Sun among others. Categories: Art, Contemporary Art, Low Brow & Pop Surrealism, Shows & Events, Teasers. 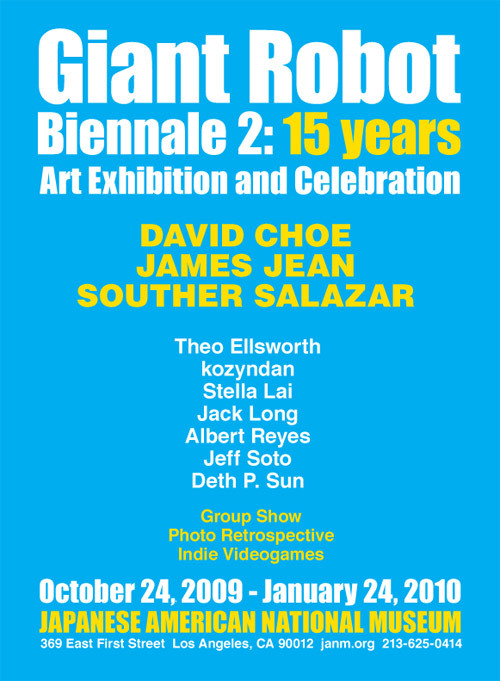 Tags: Contemporary Art, GR Biennale 09, James Jean, Low Brow & Pop Surrealism, Shows & Events.